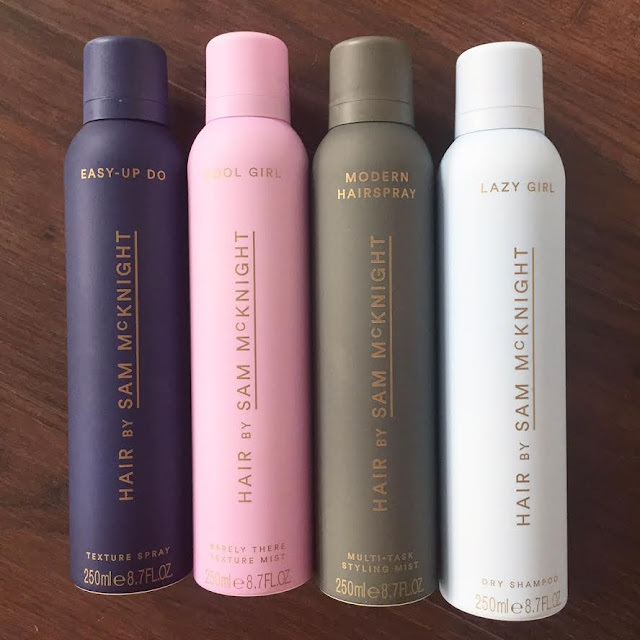 This new range of hair care from legendary session hairstylist Sam McKnight has been developed after 40 years of working in the industry and knowing what works and what doesn’t. Possibly the best-looking set of hair products that we have gotten hold of for a while but whilst they are aesthetically pleasing in their pastel bottles they also do exactly what they say on the tin. The fragrance, which is slightly floral but fresh, has been created by British perfumer Lyn Harris taking into consideration Sam’s love of gardens. Spritz it through dry hair prior to creating your ‘up do’ to create a texture that will enable your hair to grip and maintain its shape. If you like a little texture and shape to your hair without it feeling brittle or sticky then this texture mist is the one to go for. It’s a lightweight spritz that gives the hair an undone tousled finish. It also adds volume without frizz. Strong hold hairspray that allows you to position and shape your hair without saturating it or weighing it down. It brushes out nicely too so you can adapt your style from day into evening. This is the dry shampoo in the range and when spritzed at the roots will absorb oil, freshen and give hair back a bit of oomph. It has a delicate, slightly cucumber (is that a word?) scent that doesn’t overpower. In fact, they all have this same scent.It's beautiful. The whole collection is available from Liberty here. Thank you for sharing about this product! Gonna try that dry shampoo, I have not found any suitable dry shampoo yet.